Just As a Baby Is Born, So Is a Father *** A baby brings great joy to a new father, but also, perhaps, a bit of uncertainty. For many men, fatherhood may seem like a new job for which they have had no training or experience. 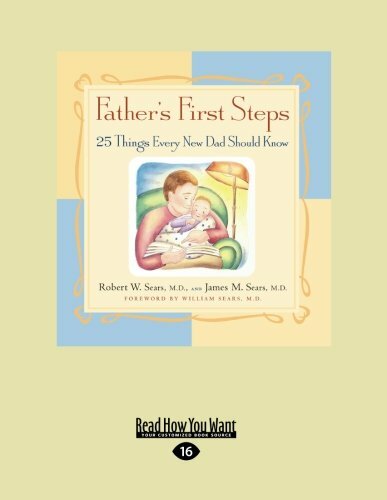 In Father's First Steps, pediatricians and fathers Robert and James Sears offer reassuring, timeless advice to help dads-to-be prepare for and embrace their new role. With an encouraging, lighthearted tone, the Searses highlight 25 important facets of becoming a dad and emphasize the rewards and pure joy that come with parenthood. This inspiring read is the perfect gift for any new or expectant father!